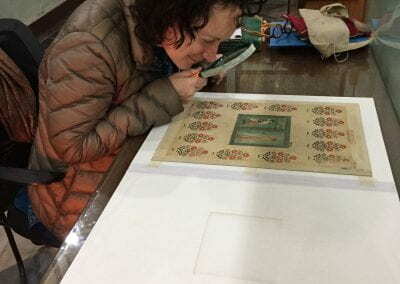 Professor Mika Natif, Assistant Professor of Art History, was a recipient of a Sigur Center travel grant that helped her travel to India for a new research project. Read below for a description of her trip! 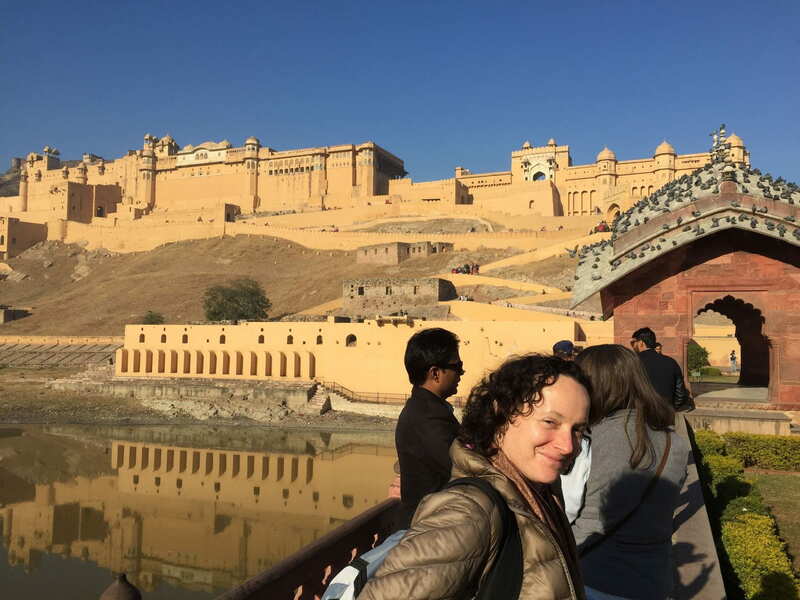 Over the break I went to India in order to start my new research project, focusing on Mughal female patrons, artists and portraiture. 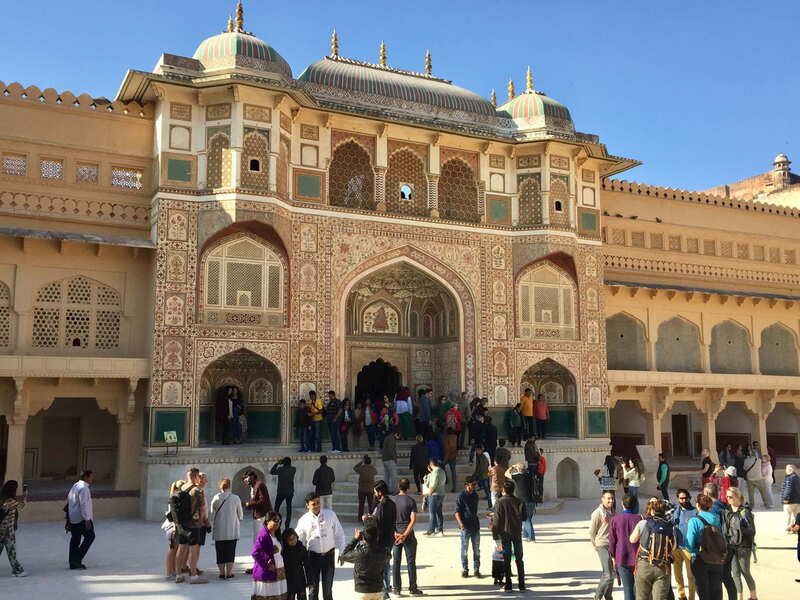 During this trip I visited palaces, museums, special libraries, and private collections in Delhi, Jaipur, Ajmer, Jodhpur and Rampur. 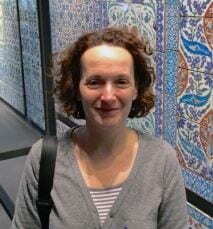 I was mostly looking for images of women related to the Mughal courts during the times of Emperors Akbar, Jahangir and Shah Jahan. I also wanted to see the places from which some of these women, wives, concubines and court ladies came. 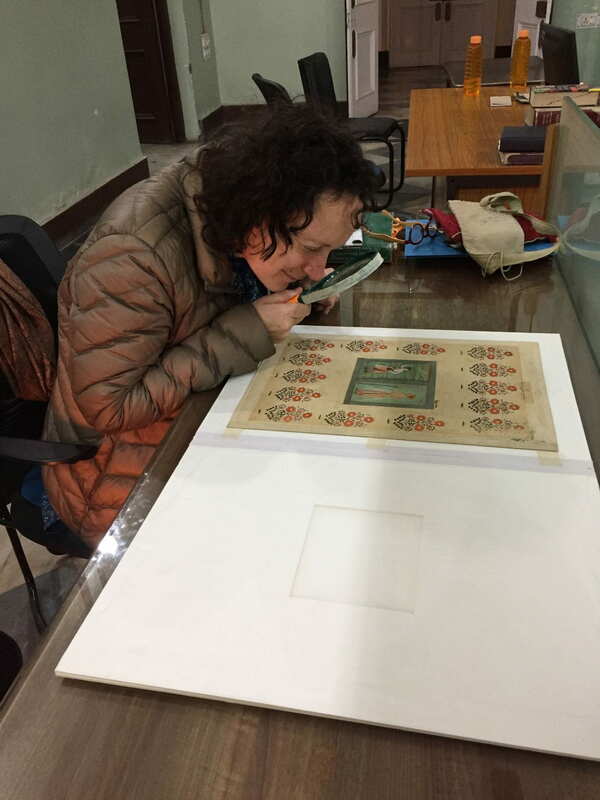 And I was also searching for any visual and textual materials I could find that were related to this topic. In some places I got luckier than in others. One of these amazing places was the Raza Library in Rampur, Uttar Pradesh. 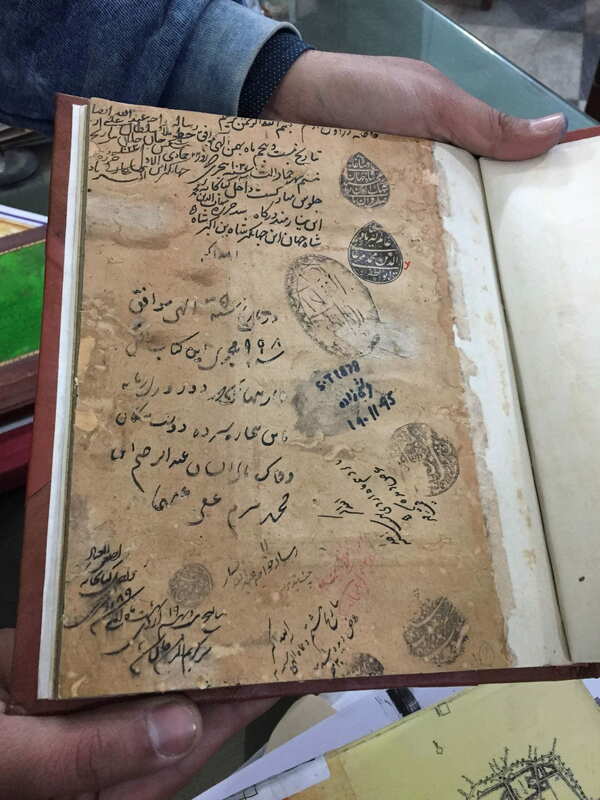 This incredible collection of illustrated manuscripts and albums grew out of the personal library of the nawab (governor) of Rampur, Faizullah Khan, in end of the 18th century. 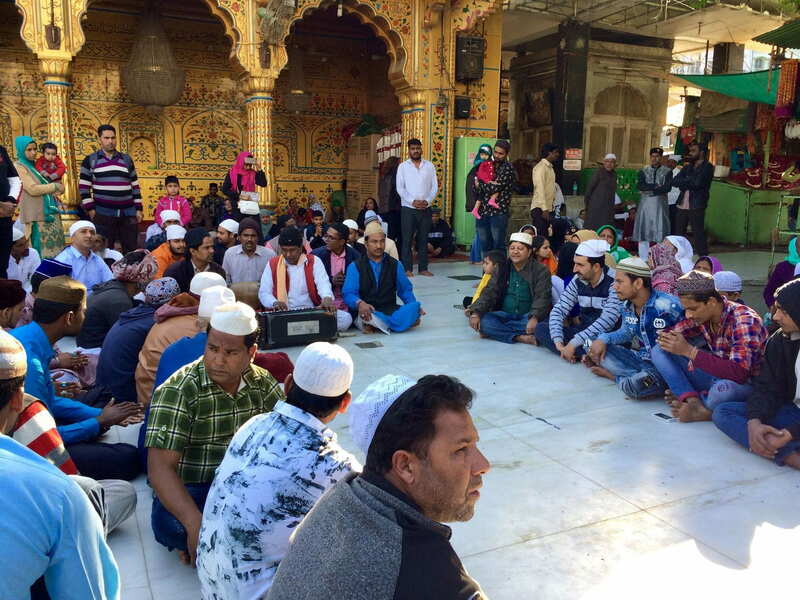 The current beautiful building was constructed about one hundred years later to house the ever-growing library of rare specimens in Persian, Urdu, Arabic, Sanskrit, and other languages. Working at the Raza library, I was looking at portraits of Mughal women, especially of Nur Jahan, as well as illustrated historical texts, such as Rashid al-Din’s World History (Jami al-Tawarikh). I would like to thank Dr. Abu Sad Islahi and Faisal Khan for their generosity and help throughout my visit. 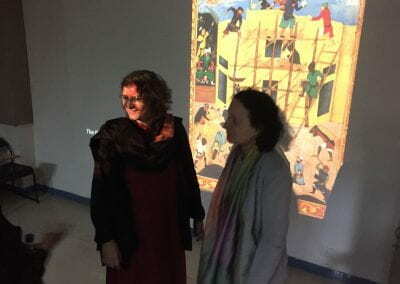 In my last days in New Delhi, I gave a lecture at the Jawaharlal Nehru University (JNU). 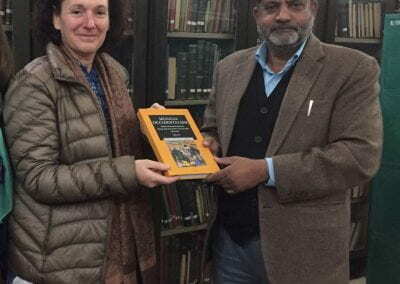 Prof. Kavita Singh invited me to celebrate the publication of my new book “Mughal Occidentalism” and I was delighted to do so in India, not too far from the Mughal palace itself. The lecture was a wonderful opportunity to see old and new colleagues, and meet with graduate students to discuss their work. 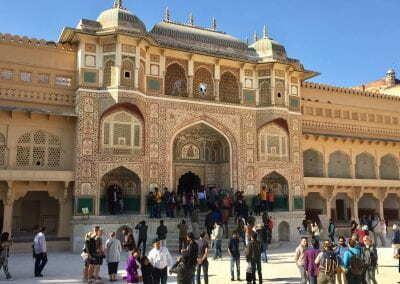 Entrance gate to the first courtyard at Amer fort. 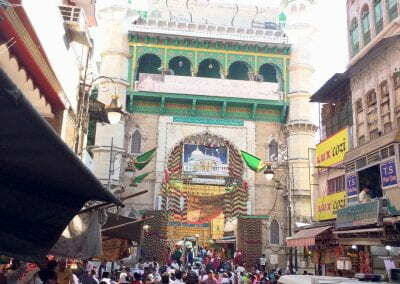 The floral wall paintings depicted on the gate are linked to Mughal art. 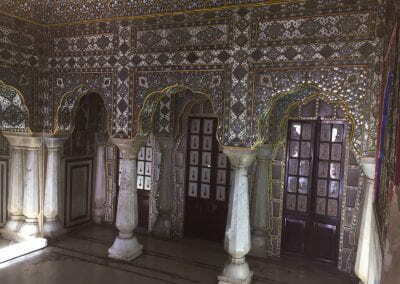 The Moon palace at Jaipur with its mirror room. The Moon palace at Jaipur with a richly decorated private room. 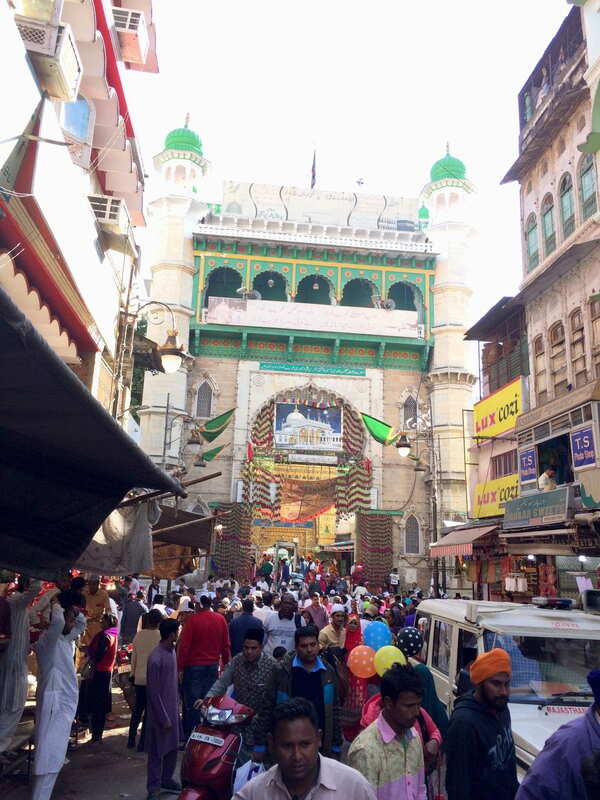 the Main road leading to the Chishti dargah (shrine) at Ajmer, Rajasthan. 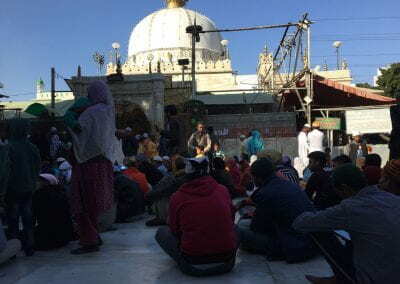 Several of the royal Mughal women were followers of Chishti sufi shaykhs, and like Akbar and Jahangir, they also went on pilgrimage to visit this shrine. 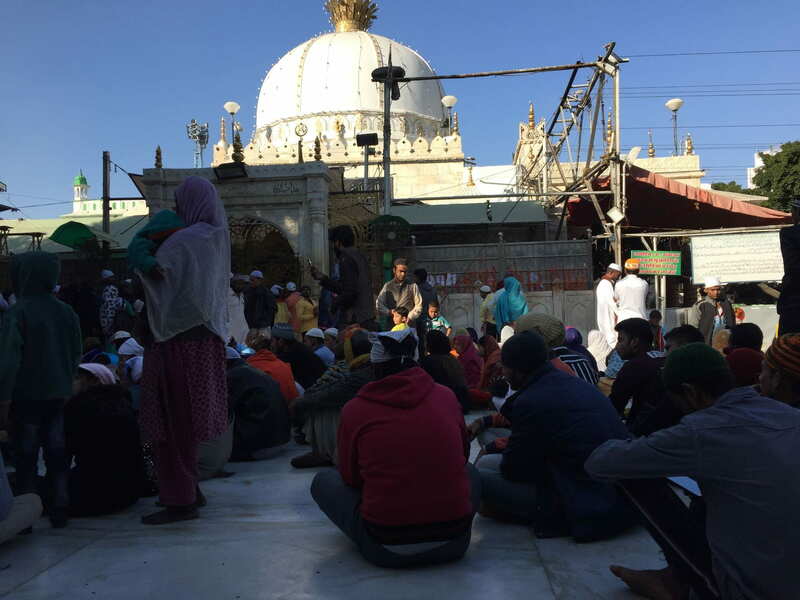 Pilgrimas at the Chishti dargah at Ajmer, Rajasthan. 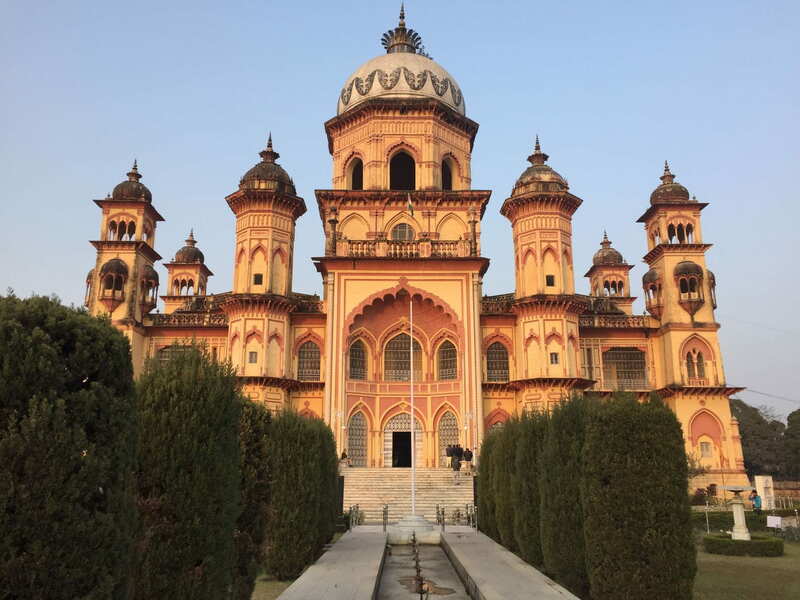 Main entrance to the Raza Library, Rampur, Uttar Pradesh. 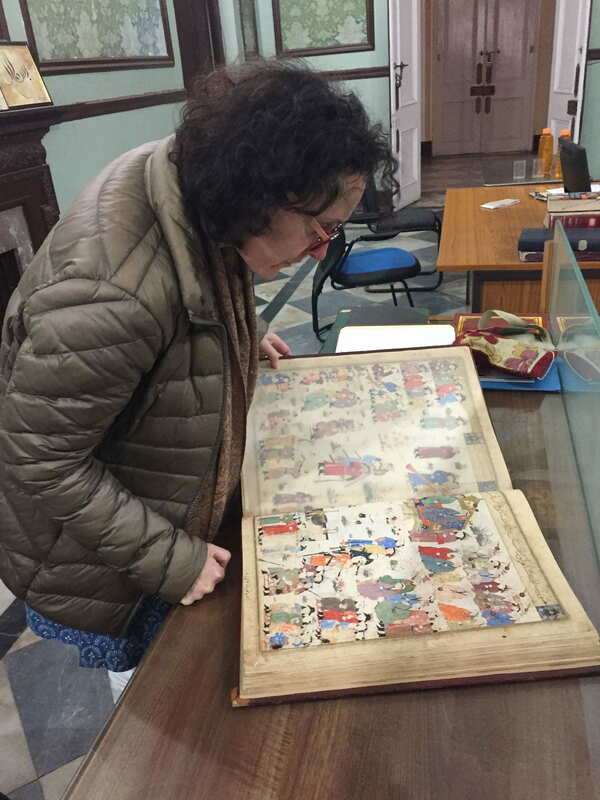 Looking at a Mughal painting, Raza Library, Rampur. 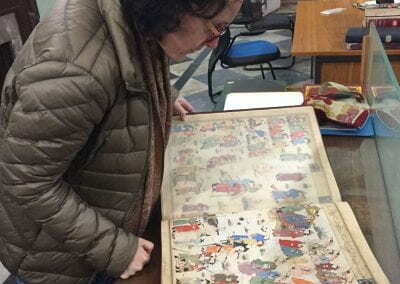 Looking at an illustrated manuscript of the World History (Jami al-Tawarikh) by Rashid al-Din. 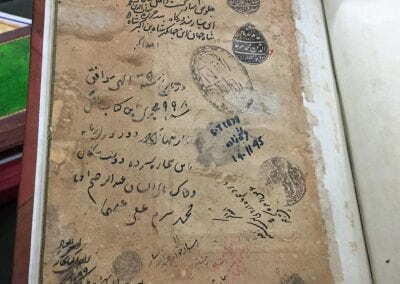 Persian manuscript with Mughal seals and Emperor Shah Jahan’s handwriting on the flyleaf. 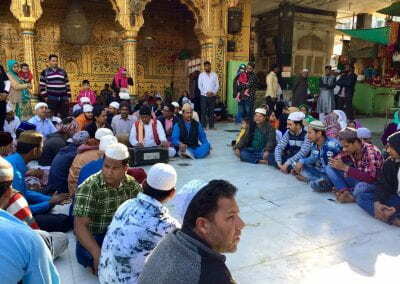 Raza Library, Rampur. 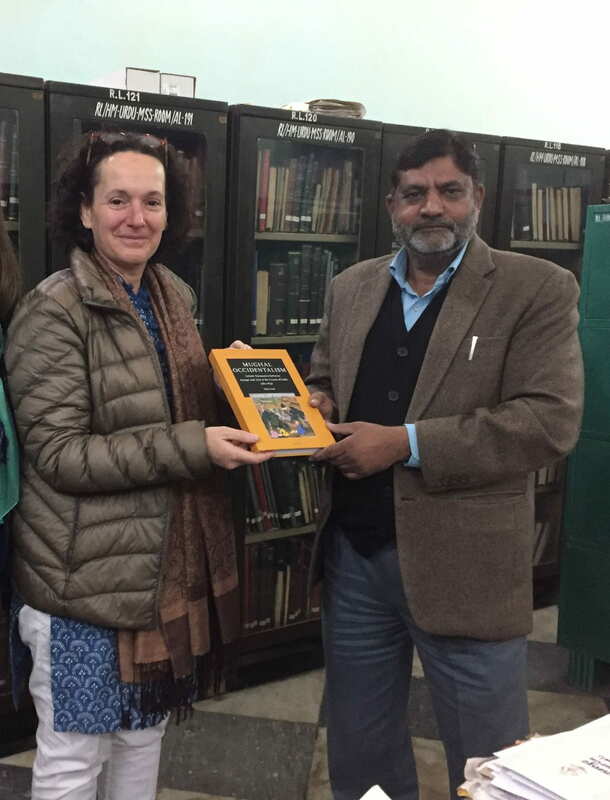 Presenting my book to Dr. Abu Sad Islahi, as a gift to the Raza Library collection. Prof. Kavita Singh introducing “Mughal Occidentalism” before my lecture at JNU, New Delhi. 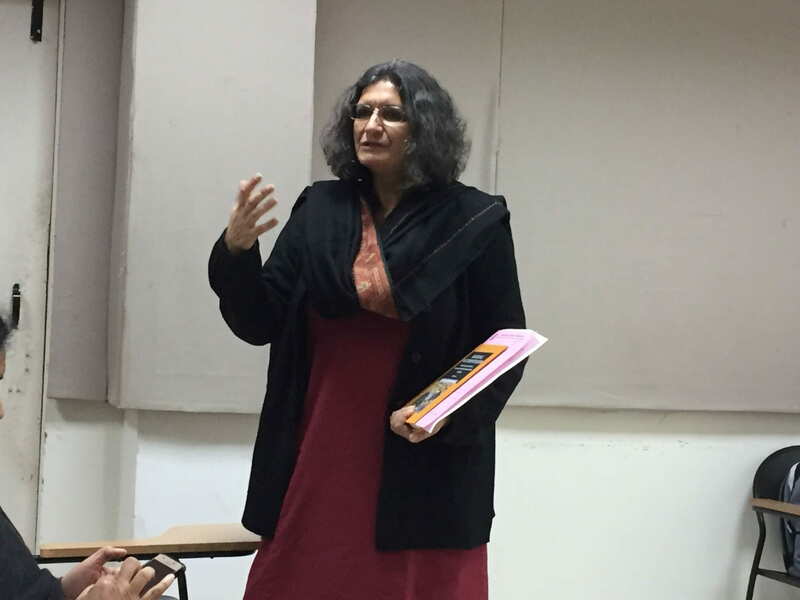 Q&A with Prof. Kavita Singh following my lecture.